Should I Go To The Ohio State University? Andrew: The CABS (Campus Area Bus Service) buses make getting around campus very easy. I found myself using them often, especially in the winter, though they can get rather crowded when classes are in session. The campus is very safe. The sidewalks are well lit, and there is a free transportation service for students who are leaving a class or library late at night. There are several areas off campus that can be dangerous if you are walking alone, mostly east of High Street. As long as you are not walking alone late at night off campus, you should be fine. Some students use bikes, though they are not absolutely necessary unless you live far off campus. If you live on campus, your furthest walk to class will probably be 15-20 minutes. Andrew: TA’s and professors will usually have at least two 1-hour windows each week designated for students with questions. Some are more open to drop-ins than others, and some are quicker to respond to emails than others. Academic advisors can be more difficult to reach, especially at the beginning and end of semesters. There is an online appointment sign up, or you can call and try to set up an appointment yourself. I found that calling and leaving a voicemail will get you an appointment even if they are busy. Don’t email them. Andrew: I enjoyed my time in the dorms. I lived in the North Campus dorms, which have a reputation for being less “active” than the West and South dorms. West and South dorms are generally a bit more social. That being said, there were still a lot of social activities in North Campus, and I had a lot of fun. A large part of your experience (good and bad) depends on your roommates and those on your floor, so be ready for some surprises (especially if you are living with all random roommates). Ask the school about the differences in the dorm room setups to determine which type you want. There are differences such as community vs. non-community bathrooms, number of roommates, living area space, and air conditioning. All of the dorms have dining halls nearby. Andrew: The Business School is probably the most well represented, as it has the most money supporting it. Engineering and Sciences are also well represented. Students in these areas will have multiple libraries, computer labs, and clubs to choose from. I studied Engineering because I wanted a challenge and a valuable degree. The Engineering discipline had many resources available for students. I had access to computer labs and tutors, and I felt my classes were well organized and executed. Andrew: I lived on a floor with several friends from high school. This made it easier for me, as I had a network that I could springboard off of to meet new people. However, I also joined clubs, played intramural sports, and attended campus functions. One thing I enjoyed was that you can become close friends with people you meet in classes or clubs/activities. You almost inevitably end up hanging out in the dorms or eating in the dining halls after class. I was not interested in Greek life and never sought it out, so it never really impacted my experience. However, if you are interested, there are many, many options. 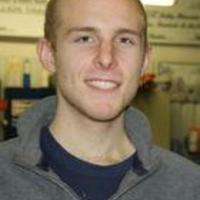 Andrew: Speaking for the Engineering Career Center, I felt it was very effective and useful for students. Students can schedule an appointment with a career counselor to improve their resumes and conduct mock interviews. The Career Center also schedules interviews with recruiters, which can lead to internships and co-ops. Career fairs are a very big deal at Ohio State. Hundreds of companies send recruiters to collect resumes and interview students. The fairs are a place to network, practice interviewing, obtain internships, or maybe even land that first job. Companies at the Engineering career fairs included GE, Microsoft, and Northrop Grumman. Andrew: This is one of my favorite aspects of Ohio State; there is a study area for any preference. In Thompson Library, you can study in large, open rooms with other students, or you can reserve your own study room with a white board. In the Science and Engineering Library, you can go to the quiet study area on the 3rd floor, or go to the basement for group-study sessions where you can talk out loud. To note, the study areas do get very crowded during finals week. Andrew: High Street runs along the east side of campus and south into downtown, and it is lined with most of the restaurants, bars, and other businesses in the area. It is the central hub of activity because it is so easily accessible for students without a vehicle. Buses run north and south, and going to downtown from campus only takes a few minutes. Some students venture downtown regularly, while others tend to stick close to campus. Andrew: The student body is one of the largest in the country. I enjoyed being at a large school because it felt like there was a lot happening, and there are a lot of social opportunities and interesting people to meet. Between classes, thousands of students walk and talk as they head to their next class. Every day feels like an event. General or intro level courses tend to be very large, averaging hundreds of students. My intro Biology class had over 500 students. Once you get into your major, class sizes shrink down to 20-50 students, depending on the class. Andrew: I remember taking a class on Electromagnetism. The topics were very complex, and often required us to use math skills from earlier classes. It was very interesting to be using these math concepts that I had learned years before for a practical application. I was amazed that I was learning how to predict the behavior of electromagnetic waves, but I regretted that I had not paid more attention in my math classes! Check out Andrew’s tutoring profile. The University of Texas at Arlington, Bachelor in Arts, Linguistics. University of California-Los Angeles, Bachelor in Arts, American Literature.